Cash in on Member Savings! The benefits above are just the beginning! 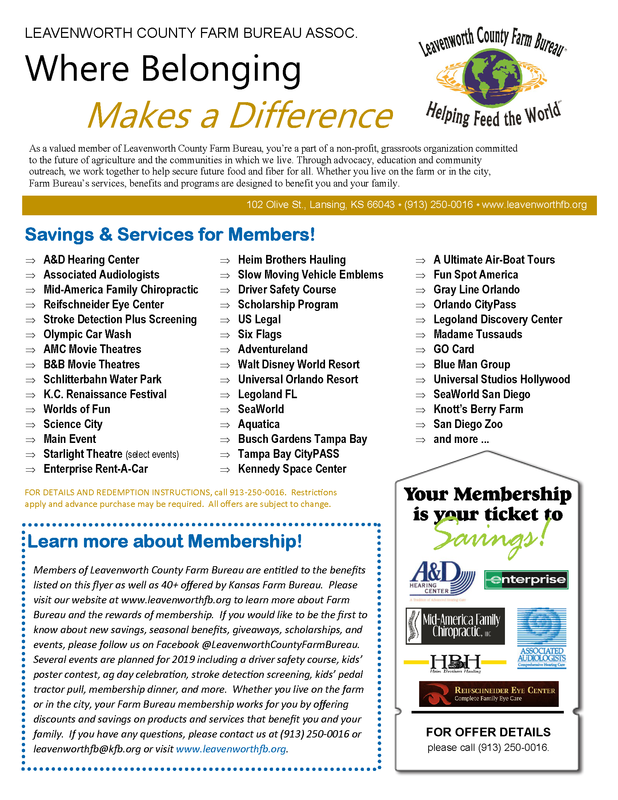 ​ Members of Leavenworth County Farm Bureau also receive all the benefits below. For questions about becoming a Farm Bureau member, please call (913) 250-0016.